Gold Coast Meter Maids owner Roberta Aitchison. 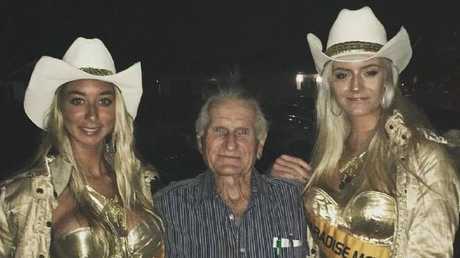 THE boss of the iconic Gold Coast Meter Maids admits supplying staff in bikinis for Will the Wrecker's functions to make him "feel special" but is adamant it was "harmless". "I need everybody to realise I don't run hookers," Meter Maids brand owner Roberta Aitchison told the Bulletin at the weekend. Ms Aitchison defended her Meter Maids - who have been strutting the streets of Surfers Paradise in golden bikinis feeding parking meters for 50 years - after being dragged into a bitter court row between 81-year-old Will 'the Wrecker' Smith and Michael Yarwood. Mr Yarwood, a former Meter Maids manager who Ms Aitchison calls a "good friend", has made explosive claims against Will the Wrecker in a Supreme Court affidavit, alleging he is owed $1.9 million in lost earnings when acting as an adviser to the junkyard recluse. In the claims revealed in the Bulletin on Saturday, Mr Yarwood's affidavit alleges he hired women to balance Mr Smith's mood swings after he "groped" a Meter Maid at a Gold Coast Wreckers Christmas luncheon at Burleigh last year and "fondled her by attempting to place his fingers inside her bikini bottoms". The Meter Maid said she could find someone who could tolerate Mr Smith's alleged behaviour and 20-year-old Sarah Jane Bailey later signed what Mr Yarwood called a "sexual services contract", the affidavit alleges. In response, Mr Smith has accused Mr Yarwood of swindling almost $4m after being granted power of attorney, using the money for luxury cars, travel and a "sugar baby" mistress. Ms Aitchison said on Saturday Mr Yarwood would pay her to bring girls dressed in the Meter Maids bikinis to Mr Smith's functions and it happened about a dozen times over a two-year period. "I used to go to the functions and take some girls. He would just pay to have them there and Will just loved it. He loved being surrounded by girls." 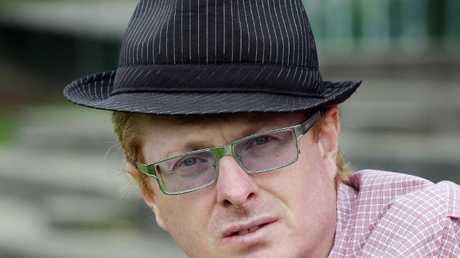 Former Meter Maids general manager Michael Yarwood who is locked in a bitter court row with Will the Wrecker. Ms Aitchison said he liked having the Meter Maids posing for photos sitting on the wrecking yard millionaire's cars. "I have done nothing wrong," she said. "He liked them in the bikinis. He always seemed relatively harmless to me. "I support Michael, but I need everybody to realise I don't run hookers. I don't condone that," Ms Aitchison said. "If I got into any funny business I would be making a motzah and I wouldn't have to put the girls out on the street would I," she said in reference to their more traditional role in Surfers where they feed parking meters to save tourists from fines, pose for visitor photos and sell merchandise including calendars, keyrings and beer holders. Among alleged transactions from Mr Yarwood's account tendered to court by Mr Smith were $14,000 in loans to Ms Aitchison. She said on Saturday as far as she was aware she was borrowing the money of Mr Yarwood "as we had been doing it hard since the Commonwealth Games...I had it paid back in one or two months". Ms Aitchison said she wanted to "stay right out" the pair's court row but "I stick up for Mike - he worked hard for Will, he did everything except wipe Will's a--".